Rabat – The European Space Agency (ESA) has tested ExoMars, a Mars rover, at the Europlanet Ibn Battuta Centre near Erfoud, eastern Morocco. Europlanet, an ESA research network, chose the Erfoud area because it is similar to the Martian environment: It has a red, rocky terrain that is very similar to the surface of Mars. 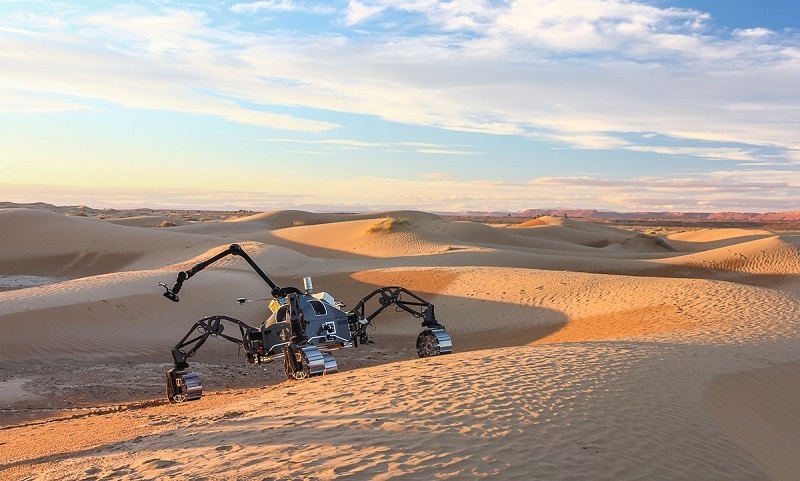 The uniformity of sand dunes gave computer vision algorithms trouble in navigating because the robots were programmed to identify differing, not homogenous, land features. The ExoMars rover, due to land on Mars in 2020, is part of a project to search for evidence of life on the planet. It is a joint mission by the ESA, funded by the European Union’s Horizon 2020 program, and the Russian space agency Roscosmos. Morocco hosts additional Ibn Batouta space analogs in the Sahara desert in Alnif, Ouarzazate, Zagora, and Laayoune.